Javier called me to ask if there was anyway that I might be able to help him out of a jam just a week before his wedding day! 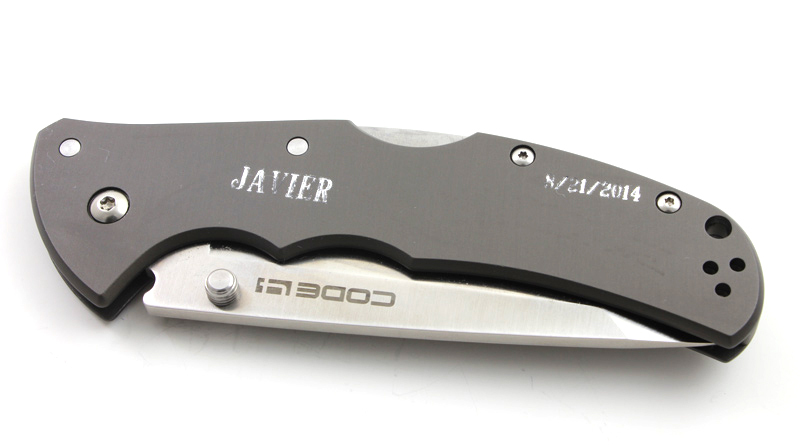 He purchased a couple of very nice Aluminum handled Code 4 folding knives for his best man and himself. Unfortunately the machine engraving he tried to have done (see pic below) did not work out very well. 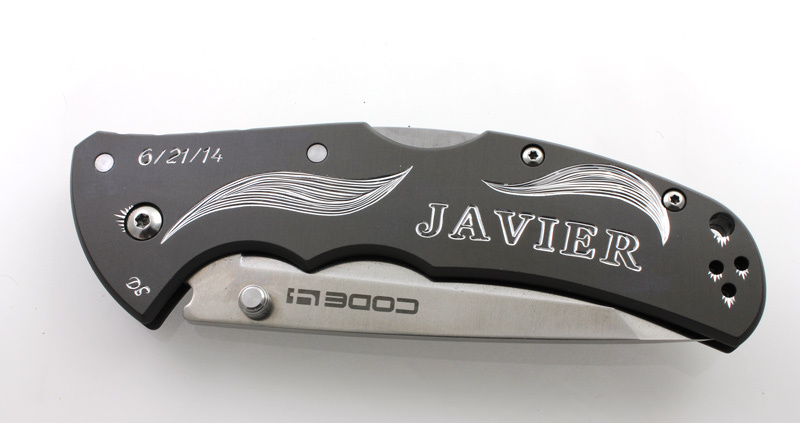 The aluminum is coated with a hard anodized finish and it is tough to get a nice finish with a mechanical engraving machine. I was able to create a design that covered over the machine engraving and still give a pretty cool look. 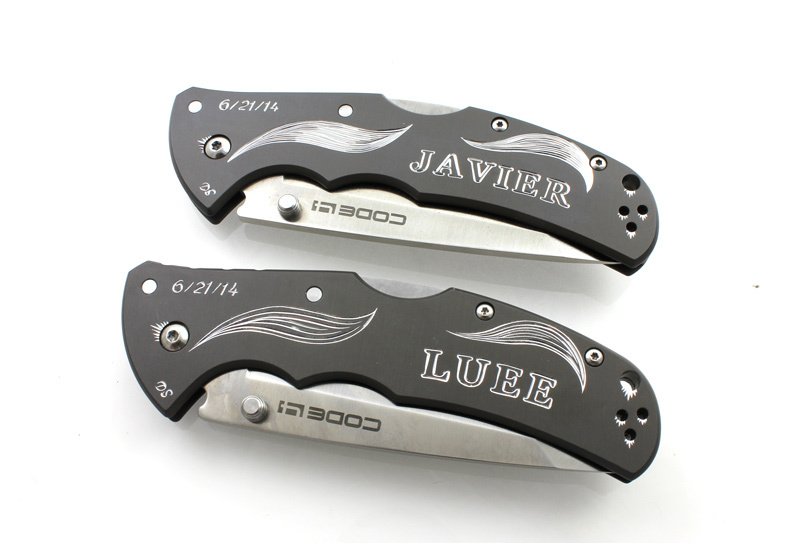 I also hand engraved another knife with the same design for his best man so they had a matching pair! It was nice to be able to help him out.